Cadillac of Greenwich is the first dealership for the General Motors luxury brand to install a virtual reality machine for customers to test out colors, trims and options of Cadillac's lineup. DETROIT — Cadillac plans to hold off on a contentious element of its Project Pinnacle dealer incentive program and shift its strategy for using virtual reality technology in showrooms to larger dealerships. 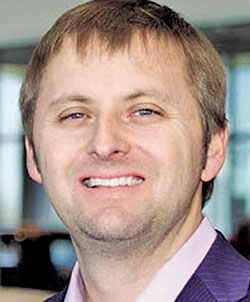 The changes for the 2018 program come after a lack of interest among smaller dealerships, many of whom voiced concerns about Pinnacle terms that encouraged them to shed their physical inventories and convert their showrooms primarily to service centers with boutique displays that use virtual reality systems to showcase new cars. "We decided to focus on our larger dealers with respect to VR so it will become a permanent element of our new facility image for the dealers who decide to go through the voluntary facility upgrade," Cadillac spokesman Andrew Lipman wrote in an email to Automotive News. The facility program effort isn't linked to Pinnacle. Under the Pinnacle program, which launched April 1, Cadillac sorted its dealerships into four tiers based on market size and sales volume, with different enrollment fees and bonus formulas assigned to each tier. Dealers could choose a higher tier than they were assigned — and commit to investing more upfront for the chance to earn bigger bonuses — while those in the lowest-volume tier could drop to a fifth tier. Tier 5 dealers would shed their physical inventories and showrooms and instead spend $10,000 for the VR technology to demonstrate vehicle features to customers. Some dealers and dealer groups saw the plan as an attempt to muscle out low-volume dealers who didn't agree to a buyout offer from Cadillac. Few dealers accepted the buyouts offered a year ago, and Cadillac President Johan de Nysschen said he doesn't plan to offer them again. Churchill: "It's the right call"
Will Churchill, head of the Cadillac National Dealer Council, said the elimination of the fifth tier for 2018 was a nonissue in discussions with Cadillac on next year's Pinnacle guidelines. "We're working through the issues that exist, and that issue hadn't even been brought up," he said. "I think it's the right call." He added: "The Cadillac dealers are under an immense amount of expense pressure right now." Cadillac could offer the fifth tier in the future if dealers showed enough interest in the program, according to Lipman. The changes on the VR strategy mark a major departure from de Nysschen's original concept for Pinnacle, though they're in line with comments he made last month about continuing to push for using VR technology, despite the lack of interest. "We will have to continue to work away at this, because either we will be at the vanguard of it or we'll be disrupted by it," de Nysschen said in a September interview. "Whether this is uncomfortable for us and our dealers is unfortunately not for us to decide. The marketplace and the competitive environment will decide this." Cadillac launched its first VR system this summer at a dealership in Greenwich, Conn., a wealthy New York suburb. 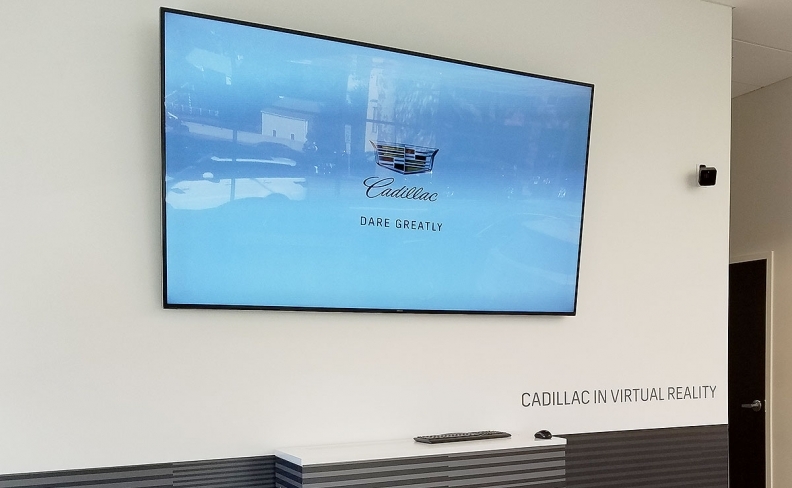 As a Tier 1 dealership, Cadillac of Greenwich wasn't obligated to use the VR system, but Eric Sandstrom, operator of the store, saw the system as a tool to show customers options and trims while they're in the showroom, which is several blocks from where the inventory is stored. "It's realistic enough to really get the feel for the car," he said. Customers "have been able to make the decision right there on the spot." About a third of the dealership's sales are done using the VR system, Sandstrom said. He said he would encourage other dealers to give it a shot. "If you can build it online, you can build it in the VR system," Sandstrom said. "It makes it easier to make a decision while you're here." Cadillac and Churchill declined to discuss any other specific changes to the 2018 Pinnacle program ahead of dealer enrollment, which begins in mid-November and continues through year end. "There are improvements that make the council excited," said Churchill, who operates two Cadillac stores in Texas (a Tier 1 and a smaller franchise with GM's other brands that's not part of the Pinnacle program). "I think what you'll see is Cadillac truly wants this to work for the dealers, and [it] is a fluid process, and if things aren't working, then they are very open to making the appropriate changes to get Pinnacle to work the way they want it to work." Cadillac's openness to working with dealers on Pinnacle was commended last week by National Automobile Dealers Association Chairman Mark Scarpelli. "Cadillac has been very conducive to listening and modifying and softening some of the demands," he told Automotive News after a speech in Detroit that included criticism of automakers trying to control dealer operations. "While it may have been perceived to be a little adversarial at the start of it, they really are trying to make that thing work for all shapes and sizes." Of Cadillac's 920 dealers, 803 stores that represent 98 percent of U.S. sales are enrolled in Project Pinnacle, most of them in Tiers 1 and 3. That number is lower than initially reported before the April 1 launch because Cadillac offered "transition assistance" aid that allowed some dealers to unenroll and potentially "transition away from the Cadillac business." Churchill doesn't expect an influx of new dealers in the 2018 program, but he expects more dealers to move to higher tiers — particularly out of the fourth tier, which carries smaller bonuses but has investment requirements similar to the tier above. Fewer than 20 percent of dealerships, representing 3 percent of the brand's sales, are enrolled in Tier 4, according to Cadillac. "The dealers that choose 4, you have to question why," Churchill said. "To go from a 4 to a 3 is not that big of a jump, and the opportunity is much greater."